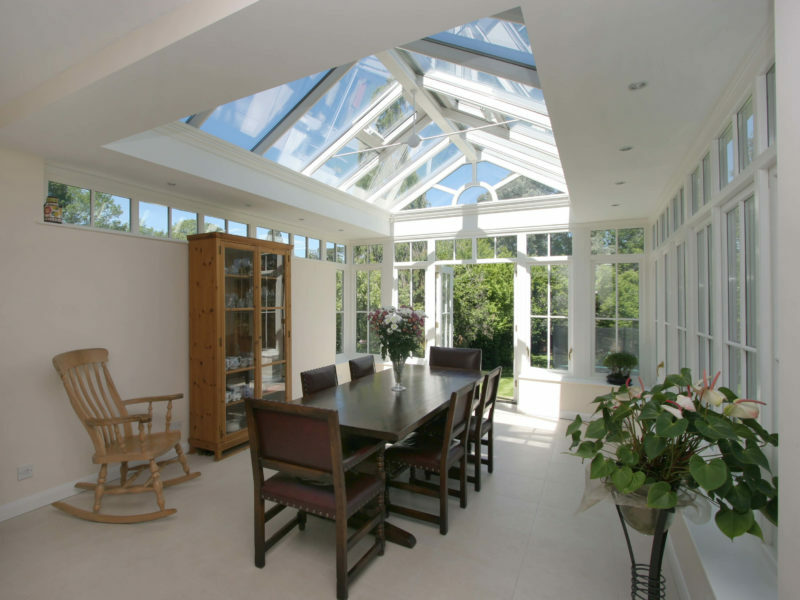 Allow natural light into your home be it a kitchen, orangery, living room or dining area. Our glass roof lanterns use thin rafters to maximise the size of the glass panels allowing for more light to pass through the structure. All of our roof lanterns are made to measure and can be supplied in a wide variety of colours, wood stains or in a standard primer. Our colour range covers all RAL Colours / BS Colours, we can colour match to Farrow and Ball profiles as well as offering a range of stunning wood stains including oak, sapele and idigbo. Choose your Size, RAL Colour, Vent Options, Remote Control + Glazing Options to get your quote price. Roof lanterns are an architectural element – not a light fixture – that can add appeal and value to any property. While the name might suggest something different, a roof lantern acts like a skylight. Made from aluminium or hardwood and glass, these rooftop windows allow in an incredible amount of natural light and can really brighten and open up a space. A roof lantern can allow more light to pass through your kitchen, orangery, living room, dining area, bedroom or even your bathroom! No matter the style, size or location of your home, a roof lantern offers numerous functional and aesthetic benefits year-round. 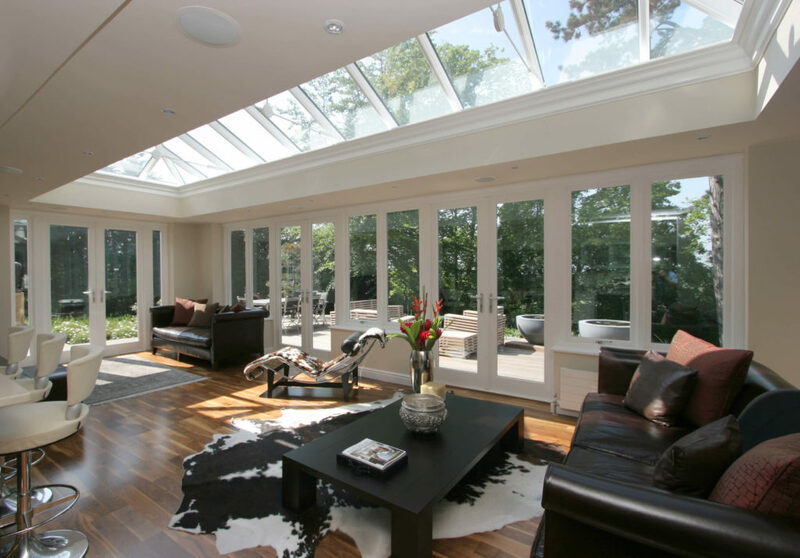 Best of all, at Prestige Roof Lanterns, we use thin rafters to maximise the size of the glass panels, allowing more light to pass through the structure and into your home. All of our roof lanterns are made to measure and can be supplied in a wide variety of colours, wood stains or in a standard primer. Lanterns can be supplied with fixed frames or without a frame (will allow for direct fitting to a timber kerb / cill). Our colour matching service allows you to select anything from the RAL Colours range, we colour match Farrow and Ball paint schemes. We can also provide a wide array of wood stains. Why Should I Install a Roof Lantern? As we said, there are numerous functional and aesthetic benefits to having high-quality roof lights installed in your home. 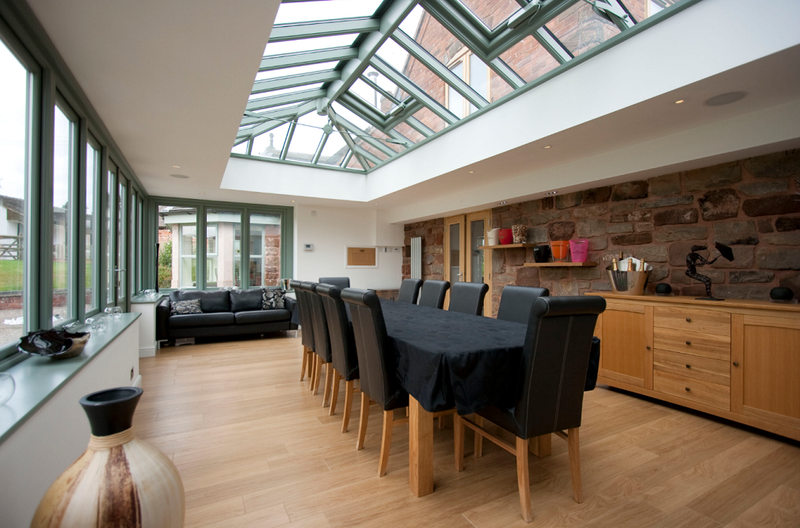 A roof lantern will immediately illuminate your home with more natural light. Whether a smaller roof lantern is installed in a bathroom or a large roof lantern is installed in your living room, you’ll notice the difference. This natural light is warm, welcoming and can make your space feel cosy and comfortable year-round. While a roof lantern won’t actually increase the square footage of your home or of an individual room, it will make your space feel bigger. With more natural light and a clear view outside, rooms seem to open up and appear big and airy. Imagine laying in bed or in the bath and looking up, through your glass rooflight, to see the moon and the stars. A roof lantern brings your closer to the outdoors and offers you the opportunity to enjoy stunning views of all four seasons from a different vantage point, all from the comfort of your own home. With so much natural light, you’ll inevitably use your electricity less throughout the year. 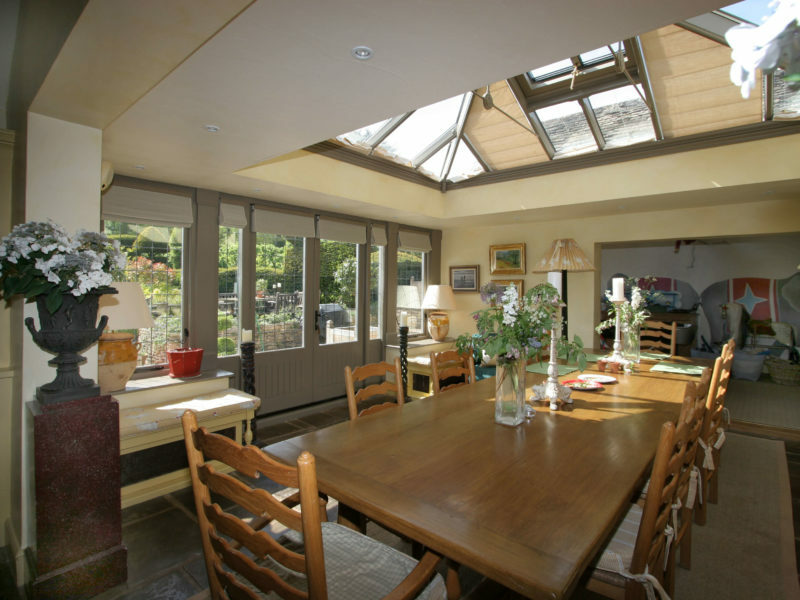 Some roof lanterns also open and close, allowing for increased cross ventilation. This is especially helpful during warmer months. 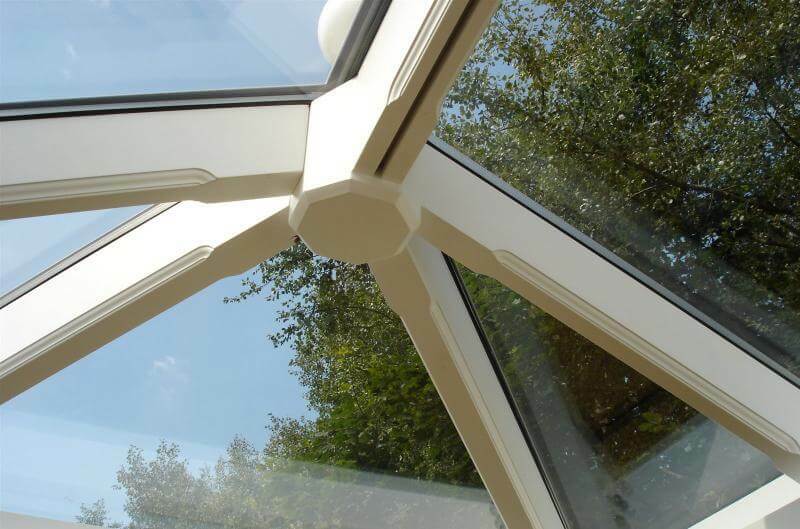 You can fully customise the style, design, size, colour and materials used for your roof lantern. Our products can be made to match period homes and contemporary properties alike and we pride ourselves on being able to seamlessly integrate roof lanterns into existing properties. Often, it’s impossible to tell that they weren’t apart of the original construction! 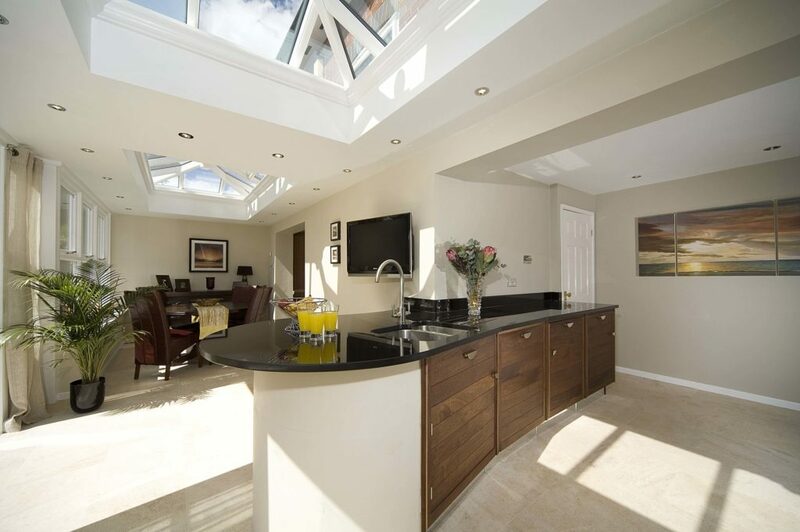 Roof lanterns are a luxurious, timeless and beautiful addition to any home. With so many benefits, it’s easy to see how a roof lantern could add value to your home. If you’re trying to sell your property, you’ll attract quality buyers and be able to ask for a higher price. A roof lantern is most certainly an investment you’ll see a return on. 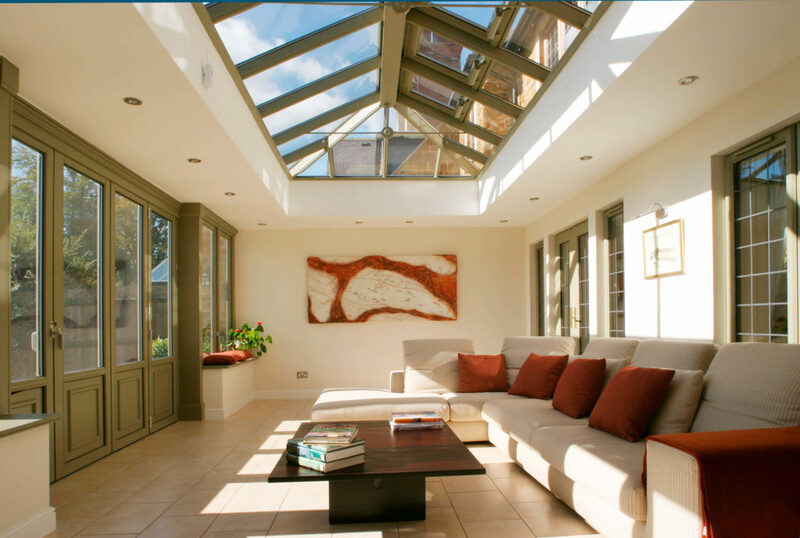 At Prestige Roof Lanterns, we offer completely bespoke products. We’ll work with you to determine the best materials, colours and stains for you and your property. 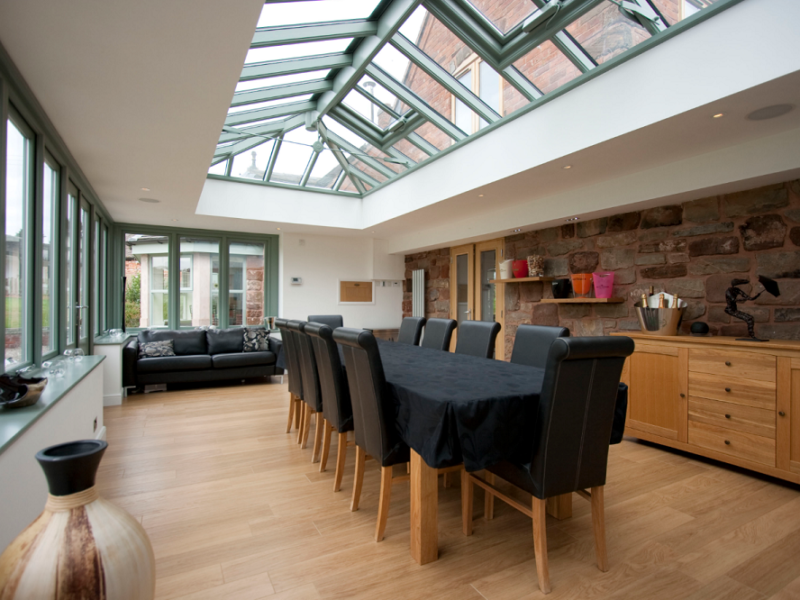 We offer a range of aluminium and timber roof lanterns as well as hardwood systems. Our hardwood range uses the finest timbers sourced responsibly from healthy trees. We use premium quality wood that’s been treated to inhibit the growth of mould and rot so that your roof lantern stands the test of time. Want to learn more? Check out these pages for more information about our oak & timber lanterns. Our thin aluminium lantern roof is supplied with all the capping which can be painted or powder coated to any RAL Colour / BS Colour. Rafter sections are from 44mm & Hips from 56mm to minimise architecture size for glass panels. All of our lanterns – both aluminium and hardwood – come with a range of different glass options starting with standard 28mm Double Glazed argon filled units with a thermal efficiency rating of 1.1W/m. Units are available single or triple glazed. There are also options for self-cleaning glass as well as solar control units. 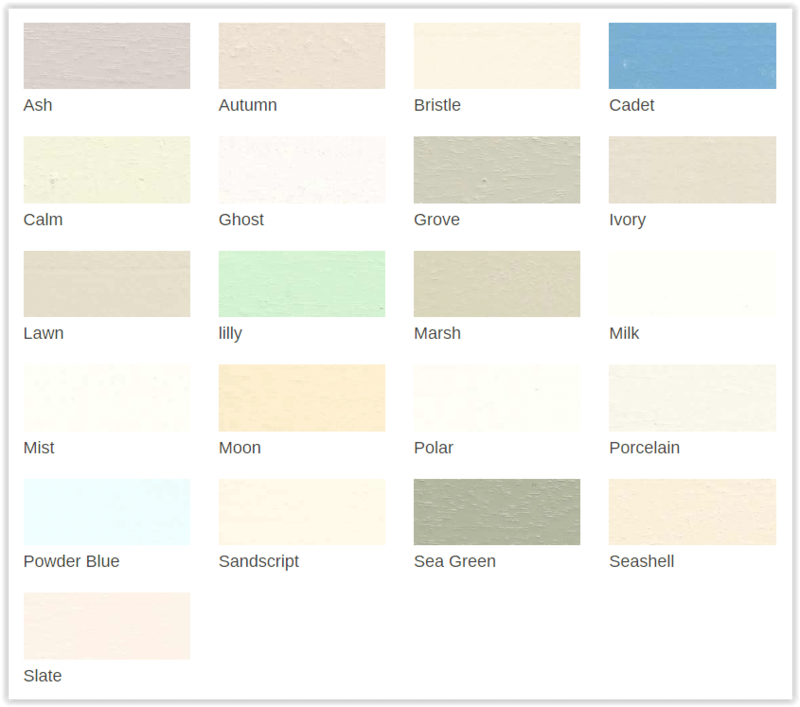 Our colour range covers all RAL Colours / BS Colours and we can colour match to Farrow and Ball profiles. We only use high-quality brands that produce vibrant paint that perfectly finishes our carefully crafted roof lanterns. We also as well as offering a range of stunning wood stains including oak, sapele and idigbo. With so many options for customisation, we encourage you to contact us to find out more. Because we use a powder-coated aluminium capping system on the outside of our lanterns, there is very little timber exposed to the elements. Timbers will periodically require sanding (only a light sanding to key the topcoat and allow new paint to stick) and repainting, but for many applications, this will only be required every five years. When properly maintained our roof lanterns should last several decades. Please contact us for our full maintenance guidelines and guarantees. Rubber weatherproofing gaskets sit on top of the hips, rafters and eaves beams of our roof lanterns, with the glass sitting on top of them. There is an aluminium capping system which then sits on top of the glass – with more rubber gaskets – that is screwed down to hold the glass and capping in place. This twin-gasket system ensures that, when properly installed, any water which gets past the outer gaskets falls onto the inner gaskets and drains out at the bottom of the roof pitch. In short: it is almost impossible for the roof to leak. If you’re looking for a made-to-measure aluminum, oak or timber roof lantern at an affordable price, contact Prestige Roof Lanterns today. Our timber roof lanterns are designed and manufactured to the highest standards at affordable prices. While we can create a fully customised, bespoke roof lantern, our generic specifications are below. To discuss these specifications or a unique design, get in touch with us today. Choice of Glazing Options (Standard 28mm Double Glazed Argon Filled Units) with U-Value of 1.1W/m. Fill out the form below to get a roof lantern price quote. Prestige delivers to all of Mainland Britain. We deliver across the UK, please check with us to see if there are any additional carriage charges. Lead times will vary depending on your specifications. Lead times generally range between 1-4 weeks. We can supply products for urgent products, you will need to enquire with us to discuss shorter lead times. 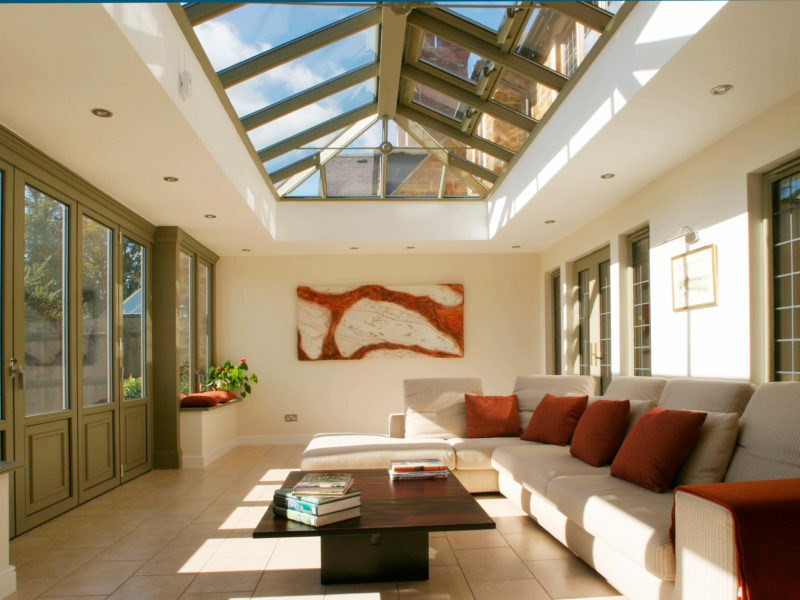 What are bespoke roof lanterns? 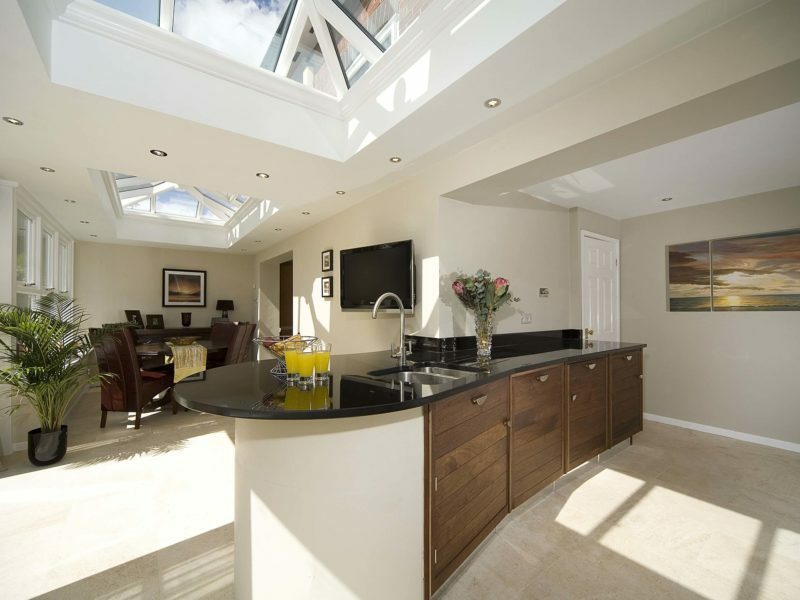 Roof lanterns are raised architectural skylights in the ceiling of a conservatory or orangery. 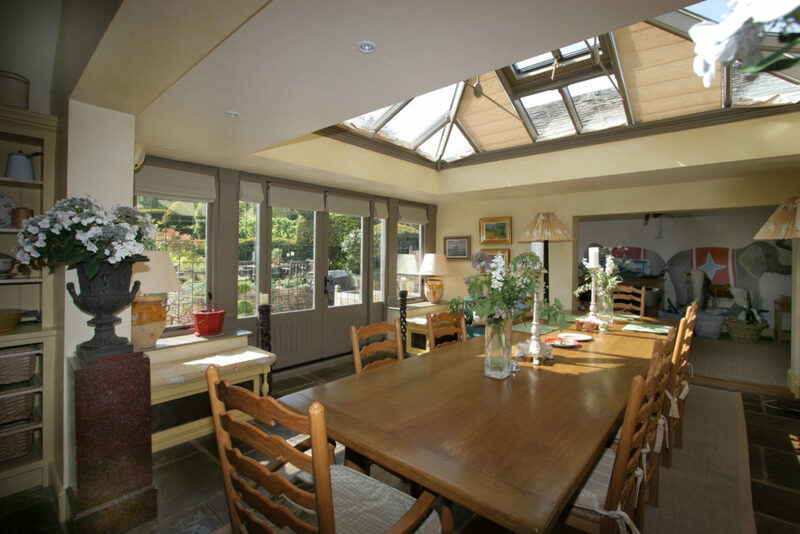 Made of several large glass panels, the roof lantern lets in plenty of natural light and creates a stylish look as well as an inviting ambience. 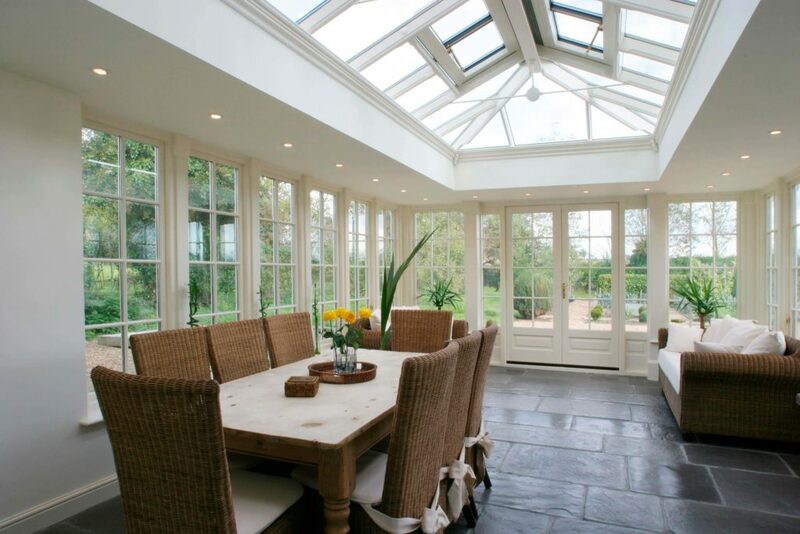 Dating back to the Renaissance era, architects began utilising roof lanterns in Orangeries in the 16th century. 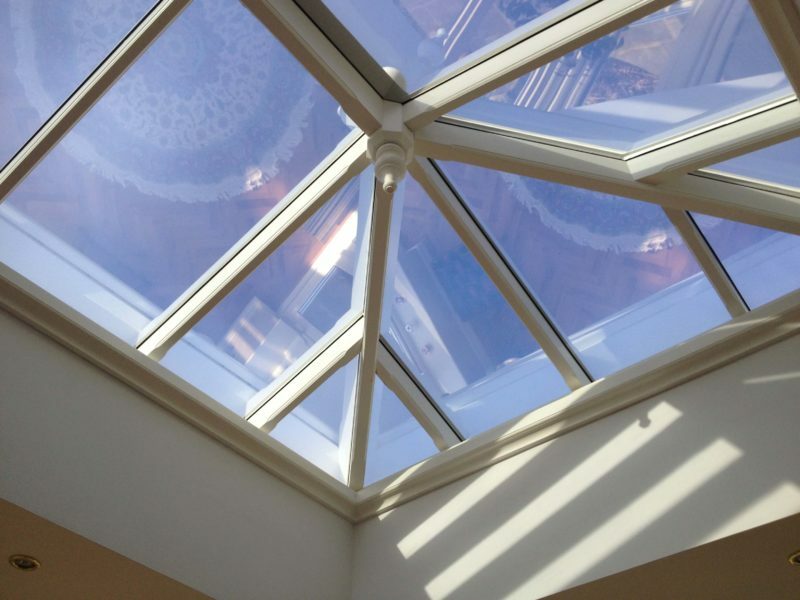 Today, bespoke – or custom – roof lanterns are found throughout many modern and traditional-style buildings throughout the UK. 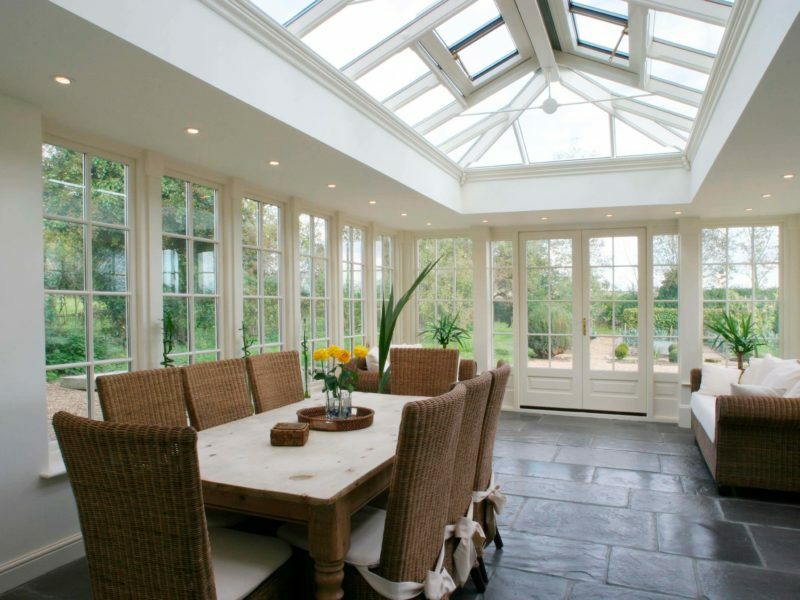 What are the advantages of having a bespoke lantern or rooflight? The primary benefit of installation of a bespoke roof lanterns is that it can be tailored to suit any structural specifications as well as any parameters in terms of design, colour and other defining features. We can work with your exact specs to ensure whatever we create is exactly in line with the decor of your extension or property. Traditional roof lanterns can work well in period and listed properties, and if you have a modern or new-build home, contemporary roof lanterns can be designed in chic, minimalist style to provide you with the right look for your home. Whether you have an idea in mind for what you would like or require some inspiration, our experts are more than happy to help. 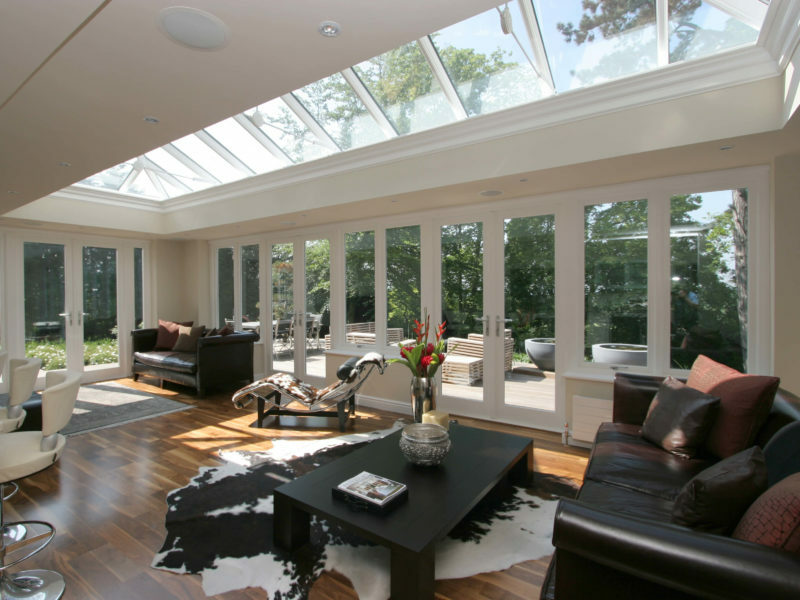 One of the great benefits of roof lanterns is the amount of natural light that is let in. This light can instantly make a room look larger and is a great way to enjoy “the outdoors” even while sat inside in cover from the rain or shine. These roof lanterns are relatively maintenance free too, so one installed you can relax and enjoy the finished look and all the light that is let into your space. We can use double glazing in the glass panels to ensure the lanterns are well insulated and keep out any unwanted noise, too.